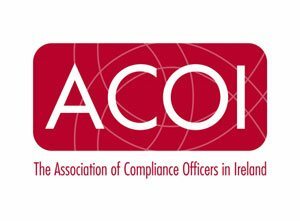 The Association of Compliance Officers in Ireland (ACOI) was established in 2002 to promote the advancement and dissemination of knowledge in the field of regulatory compliance, to provide training and to conduct examinations in regulatory compliance, and to promote high ethical standards amongst those engaged in regulatory compliance. The ACOI approached us to provide the glue between their website, their administration and their membership. Attempts had been made to resolve this in-house but the ACOI recognised that if they were to deliver a professional service to members, they would need to outsource the work and allow their officers to concentrate on the core activities of promoting the ACOI and supporting their members. The new system was to be scalable, flexible and easy to interrogate – with a strong emphasis placed upon the system’s ability to be mined for management information. The new Membership Management System also needed, as an absolutely core function, to interact with the website, as well as synchronising with the membership database of The Institute of Banking. The database element represented the back-office administrative functionality, while also exchanging data with both the website and the secondary database. The System contains 4,000 member records, with around 1,700 currently active members. The previous system was built around an e-Commerce style website that provided limited control as regards content and appearance. A review, carried out by Enclave Technologies, concluded that the existing Membership System was no longer fit for purpose. The bxp team worked closely with the ACOI itself, the web design and build team, and key stakeholders such as The Institute of Banking. Because of the sensitive nature of this particular organisation, we also worked with third party consultants in areas such as data protection. The bxp system provided the two key functions of a direct link between the website and the database, together with the bespoke reports required by the administrators. In addition, we oversaw and compiled the information supplied by the various sections and committees that make up the wider organisation. Remaining needs could readily be met by bespoke solutions. They needed to be able to add multiple membership events to a cart, including the ability to add additional members and non-members to an event. The fact that the member had attended the event needed to be recorded, as of course did a record of payment. Details of events needed to be made available to members and non-members, which meant including a payment method for non-members and we also allowed for free events. We provided ACOI with the ability to make email sending more intuitive and gave them the ability to add links, images and bullet points, change font size and so on. Emails can be sent en masse to third party spreadsheets. bxp software has transformed life for the ACOI by eliminating a whole range of time consuming daily tasks. Together with a great new website, it has provided a single-point administration tool that has already made real, significant cost savings in terms of staff time. From the members’ point of view, they can now book and pay for events and training and update their own details on-line, which is another substantial cost saving for the ACOI.